100% natural and contains no artificial flavorings, colorings or preservatives. This Item is currently Sold Out , Paid Back Orders accepted. Expected ship date the week of January 3oth 2017. Priorities shipping based on Original Order Date. 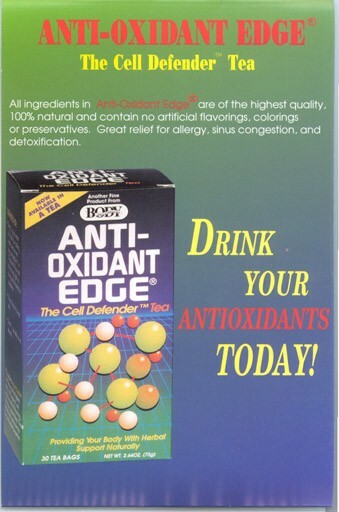 All ingrediants in anti-oxidant edge are of the highest quality. 100% natural and contains no artificial flavorings, colorings or preservatives. Great relief for allergy, sinus congestion, and detoxification. This Item is currently Sold Out , Paid Back Orders accepted. Expected ship date the week of January 3oth 2017. Priorities shipping based on Original Order Date.